Show a true display of strength in this “Philippians” Raglan T-Shirt in Sport Grey/Black by Kerusso®. You’ll love the retro, sporty look of our Raglan-style T-shirts, and the cotton/poly blend of the body of this shirt give it just the right amount of movement for ultimate comfort. Philippians 4:13 says, “I can do all things through Christ who strengthens me.” When your day is frustrating or a particular situation feels like more than you can deal with, remember God’s promise: we can do ALL THINGS through Jesus Christ. Not just a few things or the easy things—God promises that all things are possible through the saving blood of Jesus. #amen Who can you share this incredible Good News with? The saving grace of Jesus is meant to be shared. A cool message-based T-shirt like this one will be read as many as 3,000 times over the course of its life. That’s 3,000 opportunities to spread the gospel. 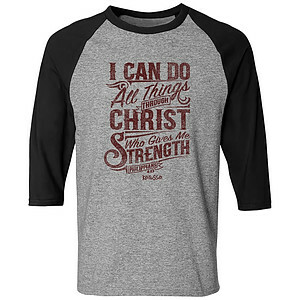 Christian T-shirts open doors to sharing your faith, and all you have to do is get dressed! Philippians Raglan T-Shirt, Small was published by Kerusso in July 2018 and is our 44617th best seller. The ISBN for Philippians Raglan T-Shirt, Small is 612978461587. Be the first to review Philippians Raglan T-Shirt, Small! Got a question? No problem! 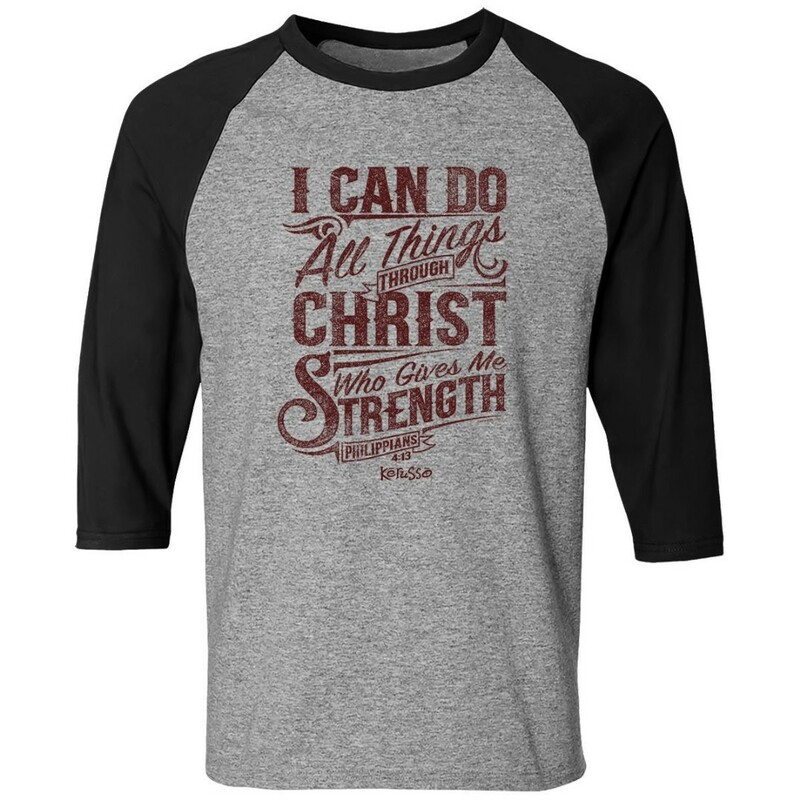 Just click here to ask us about Philippians Raglan T-Shirt, Small.